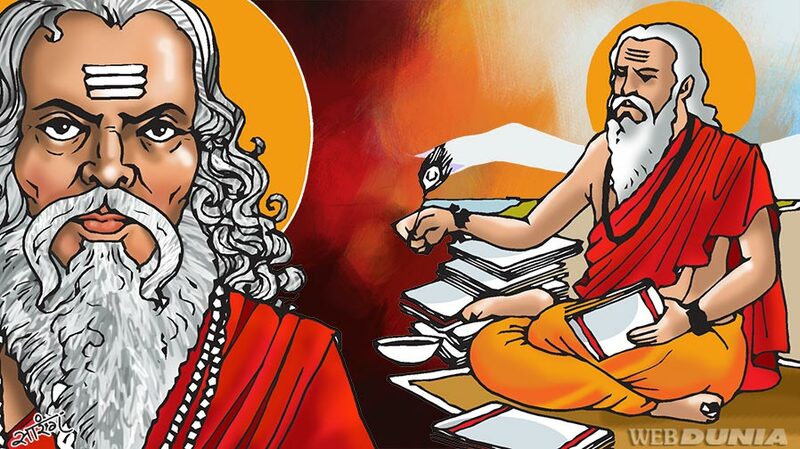 Shukracharya is definitely one of the most interesting Rishis ever. His life is nothing less than a miracle and was indeed full of mysteries. The great sage was the son of Maharishi Bhrigu and Kavyamata and later, Shukracharya married Urjaswathi. According to Devi-Bhagavata Purana, Shukracharya was very bright as a child and he even went to study Vedas under Rishi Angirasa. However, he was disturbed by his Guru Angirasa’s favoritism for his own son Brihaspati, therefore, he later went to study under Rishi Gautama. Being highly skillful, Shukracharya did years of penance for Shiva and obtained the Mrita -Sanjivani, which is a formula that even revives the dead. Being this great individual is amazing but still not unique, instead what made him different to everyone else was that he was the Guru of the Asuras. We have heard of Shukracharya, the guru of Asuras and how he came to the rescue of asuras in their critical hours. He was always favorable towards Asuras and even was their mentor. He had mastered the Mrita-Sanjeevani mantra, with the help of which he resuscitated thousands of asuras who died in the war between the Devas and Asuras. On one occasion his student Kacha was taught the Mrita Sanjivani mantra. When other asuras killed Kacha, powdered his bones, mixed it in a drink and made Shukracharya drink it. Knowing the mischief, Shukracharya asked Kacha to come out breaking his stomach and Kacha came out and brought Shukracharya back to life with the help of the same mantra. Just like us, even others were curious of what were the reasons and who was this great sage exactly who took the side of Asuras and did many others interesting acts that even Lord Shiva was disturbed with. In the Shanti Parva of the Mahabharata, Dharmaraja questions Bhishma Pitamah, “Why the renowned Shukra hated the Devas and favored the asuras. Who is this great individual and what is his history? Not many of us know about this.” He also wanted to know why was there an enmity between the Devas and the Asuras. Thus, Bhishma was delighted and narrated the entire story of Shukracharya as he had heard earlier. There were two primary causes of actions and footsteps which the great sage walked on. Legends state that Lord Indra favored Brishaspati just like how Rishi Agnirasa did and even had an alliance with him. Due to the alliance between Indra and Brihaspati, Shukrachraya had ego problems with them and later, Brihaspati was even named as chief priest of Devas, which Shukracharya was not happy with. However, the son of Bhrigu was in many respects, a better choice than the son of Angiras for the position of head priest of the Gods. Dude to this Shukracharya started disliking the Devas and favoring the Asuras which was also a way to take the revenge of this partiality. However, before Shukrachary’s alliance, it is believed that the Asuras used to be easily defeated by the Devas. Many Asuras used to be killed in the battle following the easy victory of the Devtas. Seeing this, Shukracharya decided to approach Lord Shiva for Mitra Sanjivani mantra using which Shiva could bring back the dead. This would mean a big problem for Indra and the Devas. Hence, Asuras fearing the Devas took shelter in his father’s ashram during that time. One such day, Shukracharya was far away from his father’s Ashram, doing tapasya for Shiva. Finding an opportunity without Shukracharya’s presence, Lord Indra and few devas attacked Shukracharya’s ashram. However, Shukracharya’s mother Kavyamata gives protection to the Asuras with her yogic powers and Lord Indra gets defeated. Hence, Devas requests Lord Vishnu for help and Lord Vishnu comes to his rescue and thereby beheads Kavyamata with his Sudarshan Chakra. Due to the hatred, Shukracharya had developed towards Lord Vishnu and also Lord Indra for being one of the reasons for beheading his mother, he decided to become the Guru of Asuras. This a huge loss for the Devas as Shukracharya was highly knowledgeable since which, he defeats Brihaspati many times and revived many Asuras from death time and again with his Mitra- Sanjeevani’s knowledge.